Minesh Bacrania walked away from a career as an experimental nuclear physicist to pursue photography, an interest he developed after his son, Andrew, was born in 2009. “Science is great, and I enjoyed the research but not the bureaucracy,” says Bacrania, who lives in Los Alamos and used to work at Los Alamos National Laboratory. During his transition to becoming a full time photographer, Bacrania was a fire fighter in Bandelier National Monument and a school bus driver. By 2013, his photographic career began gaining traction. 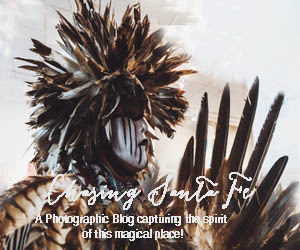 Images he shot at a MIX (networking) event were posted on Facebook and seen by the art director of New Mexico Magazine, who asked him to photograph the renovation of La Fonda on the Plaza. Through Wonderful Machine, a production company with a network of 700 photographers around the world, Bacrania has done contract work for the New York Times and Boston Magazine. 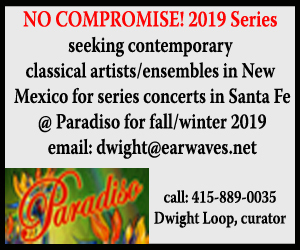 He’s also been hired by American Craft Magazine, Preservation Magazine, the New Mexico Department of Cultural Affairs, Food Network Magazine and the Santa Fe Opera. Bacrania enjoys project-based assignments and has found a niche for himself photographing people in action. He’s spent days, weeks and months at a time gathering images of historic preservation projects, ironworkers involved in large construction projects, glassblowers creating new work and scientists in laboratories. Portraits are one of Bacrania’s specialities. Among his enthusiastic subjects are artist Darren Vigil Gray, Palace Press (New Mexico History Museum) curator Thomas Leech, Santa Clara Pueblo artist Rose Simpson and Santa Fe Institute co-founder and Nobel Prize winner Murray Gell-Mann. Bacrania has been experimenting with black and white, 4 x 5 large format photography for his portraits for the past six months. “I’m still finding my voice, my own groove,” he adds.